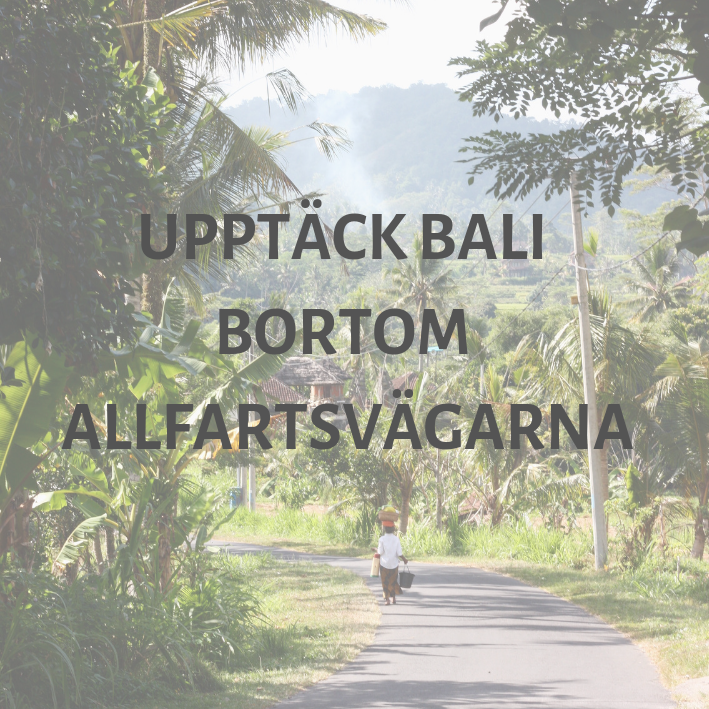 Alla har vi sett de drömmiga bilderna av trädäcken fyllda med bungalows som sträcker sig ut i det skimrande turkosblåa havet, och många drömmer om att besöka de varma öarna för lata dagar i solen. Men vad döljer sig egentligen bakom Maldivernas paradisfasad? Och borde resebolag med hållbar inriktning verkligen ha Maldiverna på sin lista? Här nedan följer en skildring på engelska av resmålet, några goda exempel på hållbarhet och tips på hur du upptäcker Maldiverna på ett ansvarsfullt sätt. Many travel to the Maldives to enjoy the fantastic marine life, but few understands the true impact tourism has on the very same environment. Firstly, the honeymooners wish to stay in elevated jetty housing (over water) making resorts conduct constant construction over the sea. This construction requires huge excavators to roll over the reef bottom for months, breaking the very marine life that tourist come to see. The efforts the Maldivian government has made to protect the marine life through regulation and net-fishing bans is great, but worthless if the reefs are destroyed. 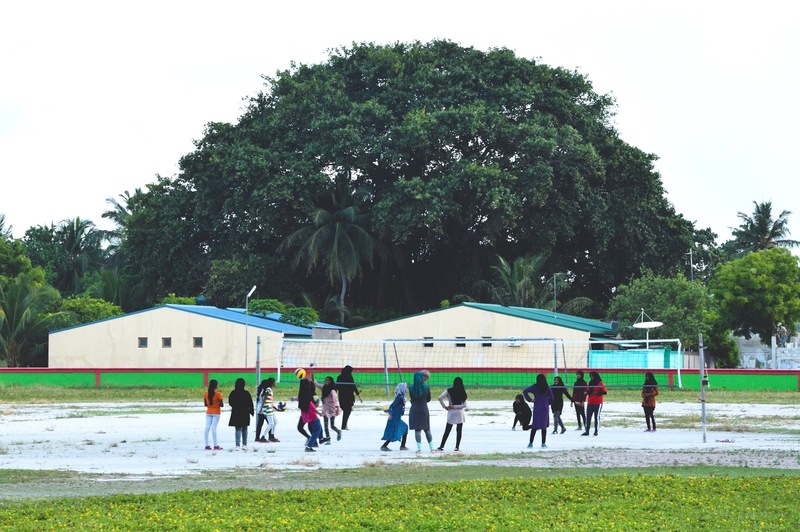 Global warming impact of Maldives is also making some of the smaller islands less inhabitable, creating a need from the Maldivian government to expand some of the bigger islands and create more living space. The artificial landmasse is depending on sand to be lifted from the sea bottom with use of huge pumps. 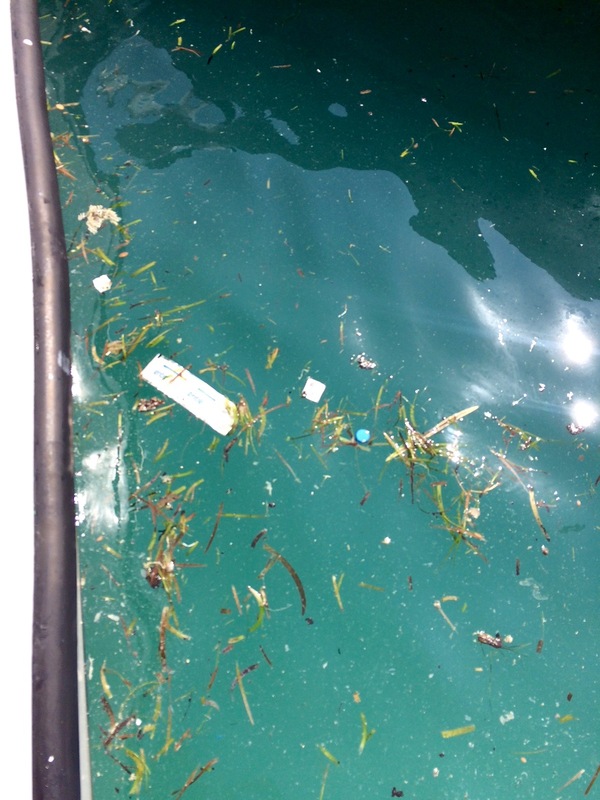 Waste management in the country is per now limited to gathering waste in a landfill on an island dedicated for trash. For all understanding the nature of landfills, and also the development mentioned in the previous clause this is a short-term solution, soon to be filling up our oceans instead. Chicken Islands är ett populärt ställe för surfare nära Thuludhoo Island. Plastic is found everywhere, and there are limited recycling options. 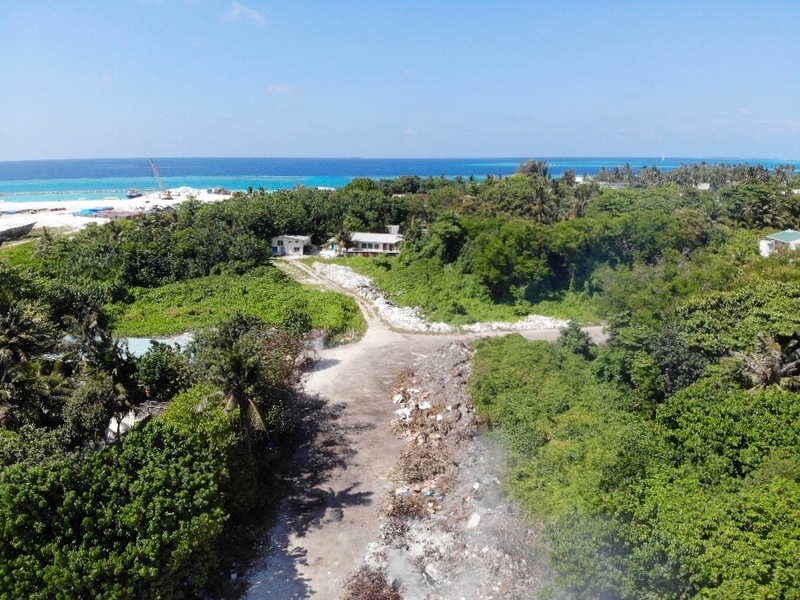 Big actors like Coca Cola, which is having a production facility on the island of Thulusdhoo is seemingly not concerned about making sure the plastic waste finds its way back into a recycling scheme, as the island is shattered with Bonaqua bottles. The Private islands is what has made the Maldives into what it is today. The luxury feel, and silent, tranquil islands would not be the same without this ownership structure, however this is also limiting the opportunities for development for most Maldivians. On the other side, one could argue, or at least hope – that the wide economical possibilities can support a greater sustainability focus. Breaking the typical image of the Maldives as a paradise, we say that it is not only about luxury all-inclusive resorts. Some years ago, government granted a permission to operate guesthouses in inhabited islands. 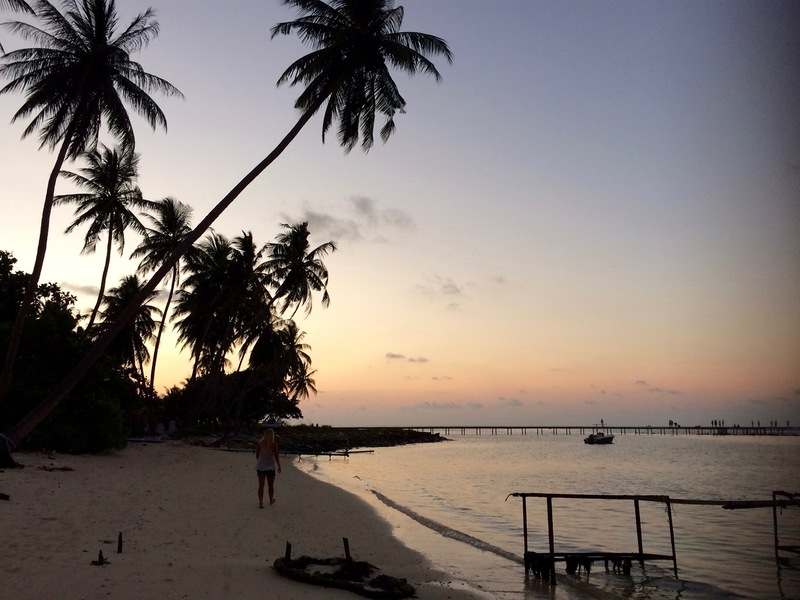 This makes the Maldives more affordable for independent travelers like us. And this gives an opportunity for locals to run their own businesses, to benefit from the important resource of the destination – ocean and good waves. As said, initiatives to make the tourism industry more sustainable and implemented on the national level are not enough to recover the impact made by tourism on the environment. 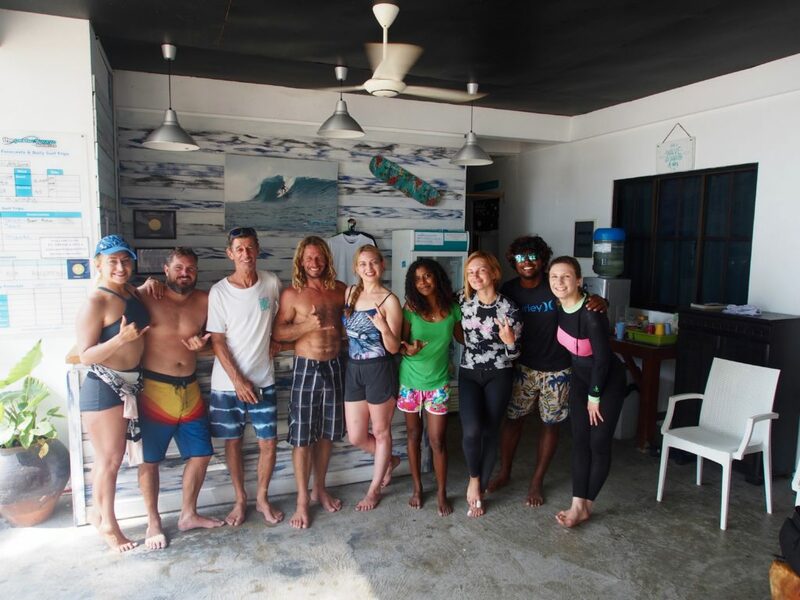 Having talked with some locals and independent business owners – like surf camps on Thuludhoo island, we made a list of tips on how to minimize your impact when travelling to the Maldives, and how to have a more authentic experiences and really enjoy the destination. Thus, you contribute to the local economy and support local people. Besides, the surf camps we visited contributed to the local development with different initiatives like educational and free training programs for young people, beach cleaning initiatives, and other engagement with local communities. Also encourage local vendors to import or grow the foods you like to eat – so that they see that tourist does not always prefer chips and cakes wrapped in plastic. Ett gäng glada surfare på Cokes surfcamp. There is no a proper recyclable system. Avoid using plastic bottles, stay in camps where you can refill your reusable bottle. If there is no water filter system where you plan to stay, ask for it, and try to positively influence the actors you are in touch with before booking your travel. Maldives is mostly Muslim nation. If you are of another religion, learn about the culture and their traditions before you go. You will feel much more in place if you know and respect the culture, and don’t find yourself sporting your bikini or shorts in the wrong places. Dressed properly you will make new friends as you go and explore local life! You will be surprised how many common things there are among different cultures, like sports, appreciation of nature and children’s play. An estimated 14,000 tons of sunscreen ends up in our oceans each year, and sunscreen chemicals (like oxybenzone) bleaches coral and drains it of its nutrients, impacting not only the coral, but the wildlife that relies on it. Some governments have already banned sunscreens that contain the chemicals oxybenzone and octinoxate, two common ingredients found in your typical SPF. It is hard to source reef friendly sunscreen in the Maldives, so try to stock this on your way. Aim for mineral based or physical sunbliocks, or any sunscreen formulated with zinc oxide and titanium dioxide.